Individuals with low mobility can use the Roho Pack It Pressure Relief Cushion to provide support during activities such as sport, travelling and bathing. The lightweight cushion is perfect for low risk pressure patients, while Roho cell-based technology provides comfort and support to the scapula, sacral and lumbar regions of the back. Despite being designed for athletics, sports, travelling and bathing, this lightweight cushion doesn't hold back in its support of key regions of the lower body. 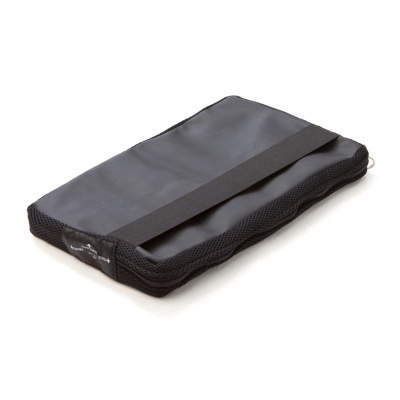 Comfortable and supportive, the Pack It Pressure Cushion can absorb impacts and shock, meaning that it protects the client from external risks too. The Roho Pack It Cushion uses Dry Floatation technology to provide support to the high risk areas of the lower body. By mimicking the effect of flotation in water and combining it with deep envelopment, the Pack It Cushion promises to keep the user comfortable while protecting against the risk of pressure sores. Who is the Pack It Pressure Cushion for? *Indications are for guidance only and do not constitute medical opinion. Please consult your GP, consultant or physiotherapist in order to obtain a medical opinion as to which pressure relief cushion is most suitable for your requirements before purchasing. 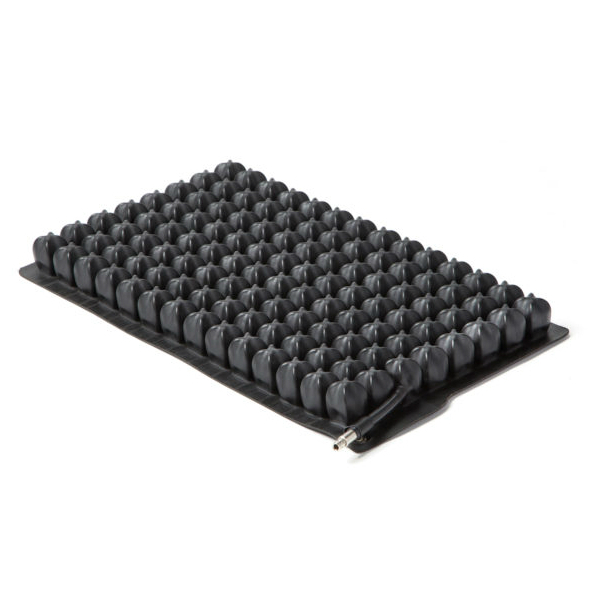 The Roho Pressure Relief Cushion is available in one size as shown below. 41cm x 25cm 16" x 9.5"